Motor vehicle collisions are a common occurrence throughout the Atlanta metropolitan area. But what if you are hurt in a collision while you are on the job? You may be entitled to Georgia workers’ compensation benefits as well as compensation from the driver who caused your accident. In Georgia, a worker who suffers an injury arising out of and in the course of employment is eligible for workers’ compensation benefits. If you were clearly at work when the collision occurred and meet all other eligibility criteria, you would be entitled to workers’ compensation for your injuries. However, sometimes it is not clear whether an employee was truly within the course of employment when a car accident happens. For example, if you were traveling to or from work, or were on your lunch hour, you might not be eligible for benefits because you were not actually working at the time of the crash. On the other hand, if you were on your lunch break and your boss had asked you to stop and pick up some office supplies while you were out, you might be eligible for workers’ compensation. Car accidents are often fact-sensitive, meaning that the details of the collision and your status at the time will determine whether you are eligible for workers’ compensation benefits. One important advantage to filing for workers’ compensation benefits is that fault in the accident is not important. Even if you were the at-fault driver, you may still be entitled to workers’ compensation benefits if you were on the job when the collision happened. You could also be entitled to compensation through a personal injury claim against a third party. In contrast with the workers’ compensation system, fault is important in a personal injury lawsuit. If another party caused or contributed to your car accident, you could be entitled to file a lawsuit. Compensation for noneconomic damages, most commonly referred to as “pain and suffering” damages, could be available through a lawsuit, whereas the workers’ compensation system does not cover pain and suffering. If you are entitled to compensation through a third-party lawsuit, your employers’ workers’ compensation carrier could become involved as it may have a legal right to subrogate your claim. This means that the insurance carrier could tap the proceeds of your lawsuit for reimbursement of funds it spent on your workers’ compensation claim. 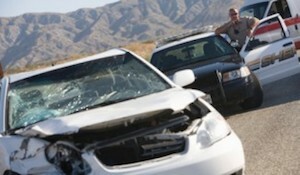 As you can see, car accidents often present complicated legal issues for injured workers. The good news is that you may have two potential sources of compensation if you were hurt in an Atlanta car accident while on the job. Be sure to consult with an experienced Georgia workers’ compensation attorney to ensure that you are fully and fairly compensated if you recently were injured in a work-related car accident in Atlanta.